. Published on 20/01/2019 . Grasses are a great addition to any garden and look (and sound) great in the hot summer months and also add a bit of interest to a winter garden. If your deciduous grasses are looking a bit tatty it’s a good time to start to think about cutting them back. 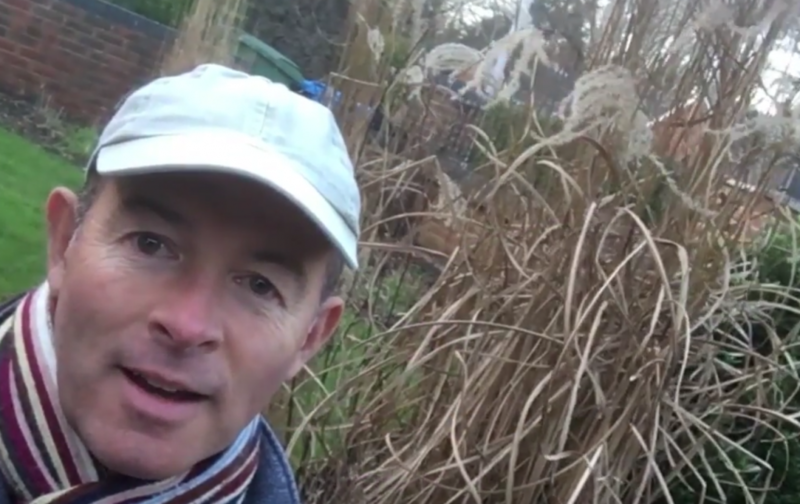 In this short video Mike shows you just how to do that as he cuts back his Miscanthus Flamingo. All you’ll need is a pair of secateurs and somewhere to dispose of the cuttings which could be a compost heap if you have one. In this video there is also another guest appearance by Benson the cat who seems to be keeping his eye on Michael to ensure he’s doing a good job!